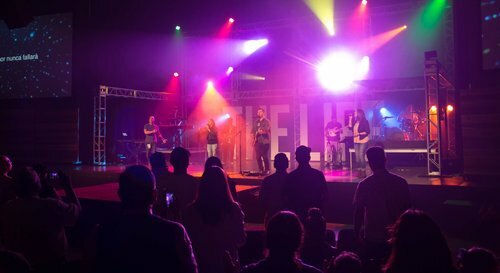 Rancho Worship Ministry serves all of our campuses, venues and ministries by providing a wide variety of live worship music. 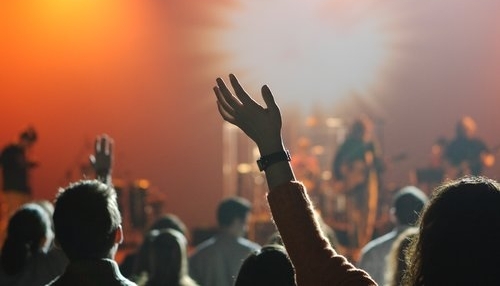 Depending on the venue you attend, you can hear contemporary worship, traditional hymns, and concert style. Uprising on Wednesday nights is designed for your students to bring their friends from school so that they can also get connected and learn what it means to have a relationship with Jesus. Bring a friend and get ready to have fun! Connect | Open | Relevant | Encourage: Welcome to C.O.R.E. the High School Ministry of Rancho. We want to be a place where high school students can grow together by connecting to God, His church, mentors, and other students. Young Adults is a large age span of 18-35. Big Group is on Tuesday nights and small groups throughout the week. We have different groups for different seasons within that age group. What ever stage of life you are in we work to have a place for you. Are you in the throes of family life with children? You might have babies and teens or almost ready to launch your teens to college? Where ever you are in this stage of life you need the support and care of friends. We meet at Murrieta Mesa High School. The service is in their Auditorium. After you've visited, we invite you to connect and build lifelong relationships at Rancho Murrieta. It is when you commit to a community that you really begin to sense a place of belonging. Our mature adult program is an exciting ministry to active adults age 50 plus, who are looking to live their second half of life with purpose and meaning through participation in outreach, fellowship, spiritual growth and service. Christ-Centered Recovery for Anyone. 16 small group settings for teens, men and women. This is a place of Hope! Feeling helpless, or overwhelmed? Does life seem unmanageable? Celebrate Recovery you will find a safe healing place. Various sport groups, teams, hobbies and speciality groups. You name it, we do it: Hiking, knitting, sewing, biking, softball, volleyball, and more. This is a great way to connect with people while partaking in your favorite activities. It is too easy for our lives to be caught up in our past, or in time spent on “good” things, too easy to become overwhelmed. Come, connect with others and serve as we have been called, we can live the abundant life He desires for each of us. A ministry just for guys. The Men’s Ministry is led by Craig Keller. Vision RCC Men’s Ministry aims to create a culture that embraces God-given masculinity while educating, equipping, encouraging and mobilizing men. It is our goal to have every member of Rancho become involved in a group. Some groups are sermon-based, or geared toward special interest groups focusing on topics such as parenting, marriage, recovery, single moms, finances/careers, and more. We are a family and families take care of their own home. We need you! Each of us is called to participate in the outreaching ministry of Jesus Christ. No matter your area of strength, we have a place for you! Es un ministerio de Rancho Community Church para servir a la comunidad de habla Hispana en Temecula y sus alrededores.